Do you need help writing material, developing a public relations campaign, finding strategic ways to inform and educate the public, clients, investors, or employees or developing good relations with the media? 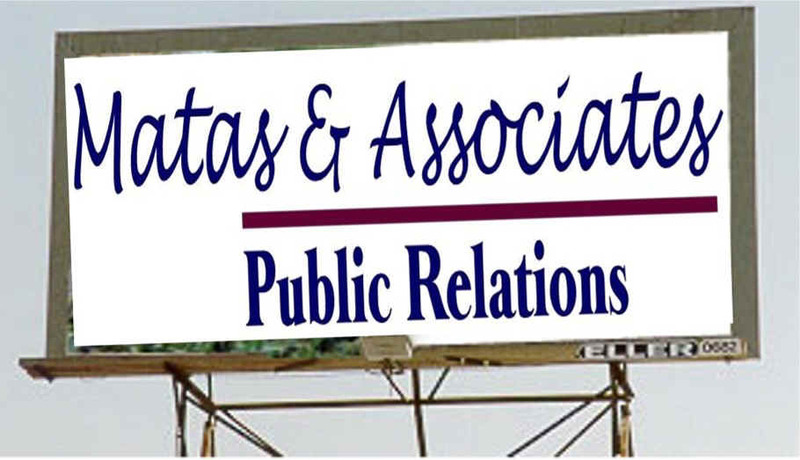 Put Matas & Associates Public Relations to work for you to fill the gap in your organization with experience, professionalism and dedication. Professional media relations assistance ensures your message reaches the proper audience and prepares you to deliver the message properly. We can analyze your communications abilities, including your ability to respond to a crisis, and train you in the correct response.